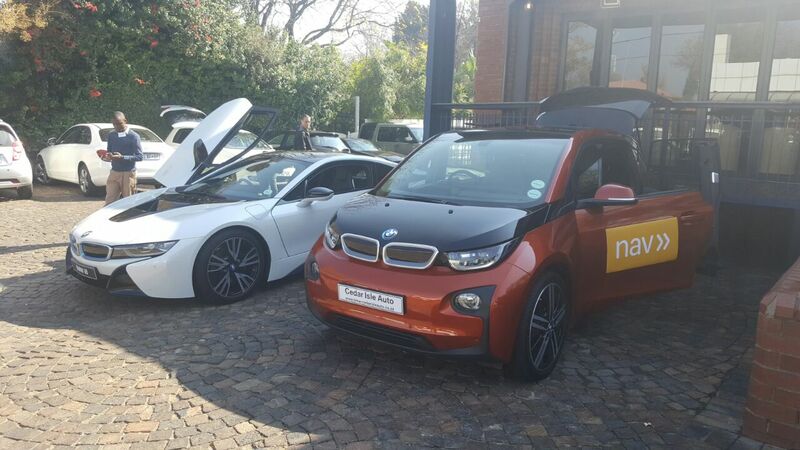 Today I attended the FNB South Africa launch of the FNB Nav Cars application. This application allows FNB customers to renew their car licenses online which I think is super cool. I myself bank with FNB and can appreciate this functionality. One of the cars that I owned is registered in North West, and it is a huge hassle to get the license renewed. I cannot (or in the past) could not get the license disc renewed in Gauteng, and had to travel to the North West Province to get the licensed renew. With the new app on the FNB app you (or I) can simply log into the FNB application, navigate to the NAV Cars application and renew the license from there. FNB also delivers the license to your door without any additional costs at the moment! – I cannot even begin to tell you how awesome I think this is. This is a true example of how FNB is making their clients lives much easier with integrations like this! As part of the FNB application they launched today, you can also get your cars resale value online instantly and get important documents about your car through the FNB and Wesbank integration. Again, this is simply awesome and I think FNB deserves a award for their out of the box thinking! Any case, at the event they had a BMW I3 and BMW I8 at the event, showcasing these awesome cars. As part of their exhibition they also had some Virtual Reality applications and 360° video at the event. As you know (or could have guessed from the site you are on https://virtual-reality.co.za) we are also into virtual reality and it was pretty cool to see a solution by another South African company doing virtual reality. We kinda dominate the Virtual Reality market in South Africa, and this was one of the first actual activation that I have seen in South Africa in which we were not directly involved. Although the guy demonstrating the VR to me told me that we provided them with a quote on Google Cardboard devices not so long ago. I went and tried out the Virtual Reality experience of the BMW i8 and must say that I was impressed by the experience. The part that impressed me most was sitting in the actual BMW i8 and seeing the car in virtual reality in Google Cardboard while I was sitting in the actual car. I must congratulate BMW and FNB with their forward thinking, innovation and execution of this particular Virtual Reality experience. Sitting in an actual car (BMW i8) and seeing the car in VR with all the animations, the voice over and explanations were just brilliant and impressive!